#1: Stayed in bed Saturday morning with the remote control and a book. #2: Sipped champagne with one of my girlfriends at Beauty & Essex while waiting for our brunch reservation. 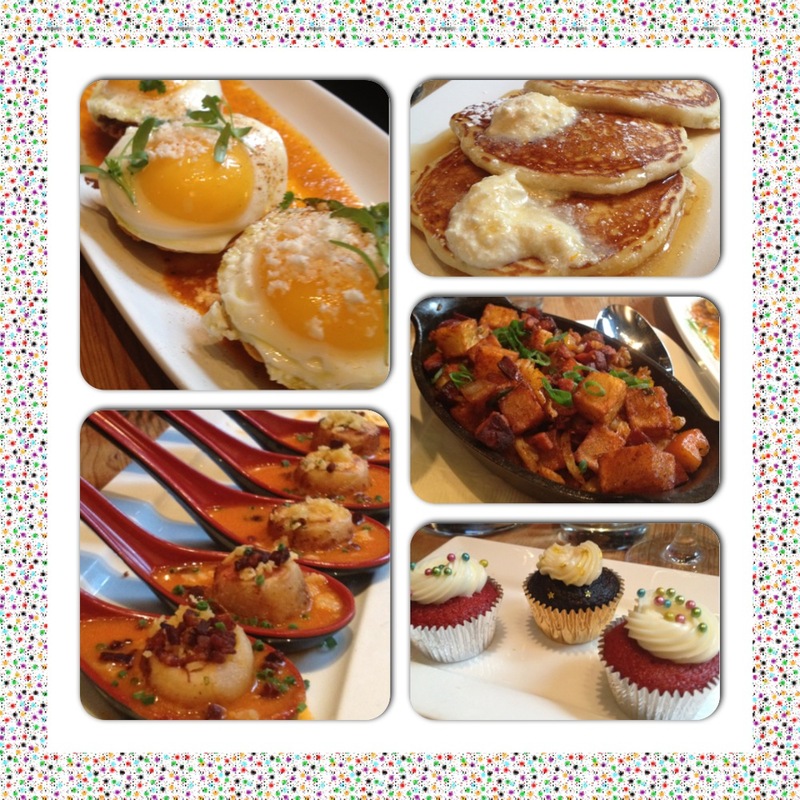 #3: Indulged in this 5-course brunch: lemon and blueberry pancakes with ricotta, braised short ribs huevos rancheros, lobster and chorizo hash, grilled cheese dumplings on a tomato soup spoon, red velvet and Guinness cupcakes. #4: Walked around the LES Saturday afternoon post-brunch, enjoying the (finally bearable!) weather and ducking into stores and bars. #5: Blew out candles on orange frosted cupcakes Saturday night with Syracuse fans. 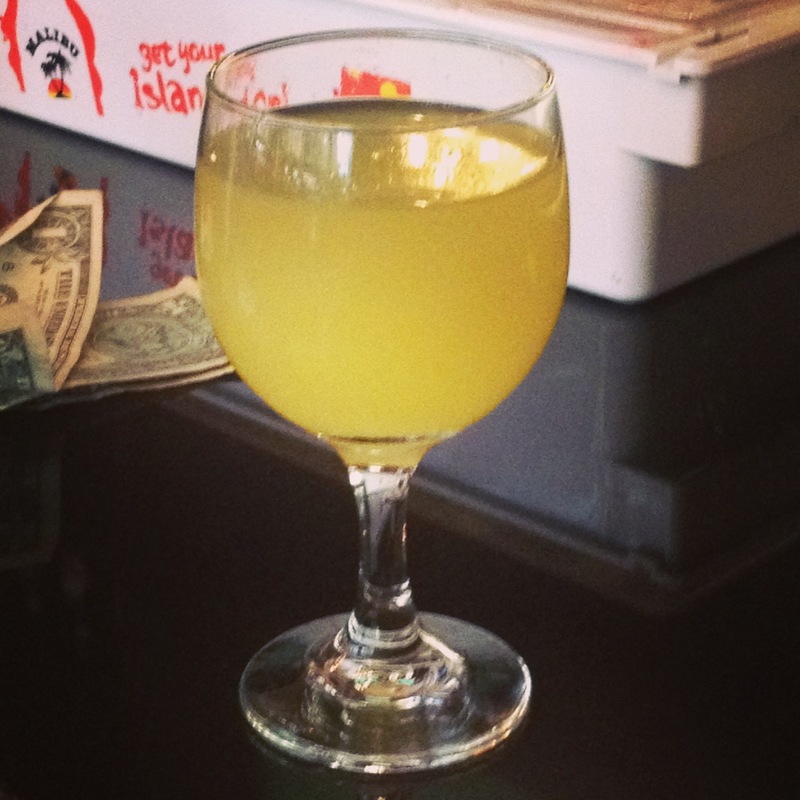 #6: Simple math: Jeremiah Weed sweet tea + lemonade = tipsy delight. #7: Brunched with the boys on Sunday! Mimosas for me, bloody Mary bar for my brother, and beers for the Chef at Amity Hall. #8: Received a “walk down memory lane” from my brother for my birthday….a road trip to the small New England town where we grew up later this spring! 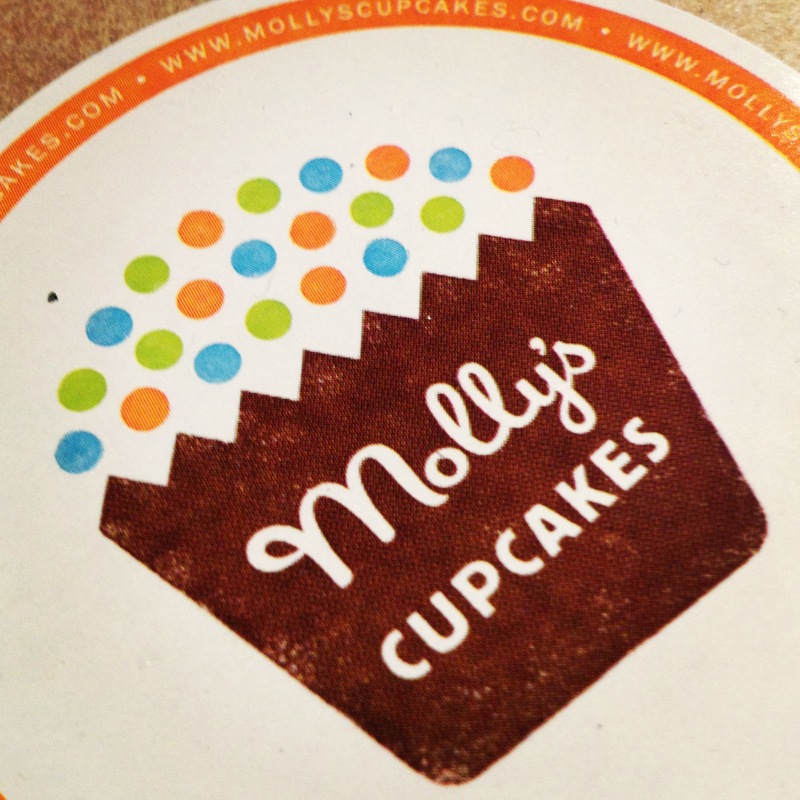 #9: With Molly’s Cupcakes from my bro. Yum! #10: With a cuddly, booze-induced nap. #11: Enjoyed the best escargot I’ve had since my trip to Paris five years ago during dinner at The Carlyle Sunday night. 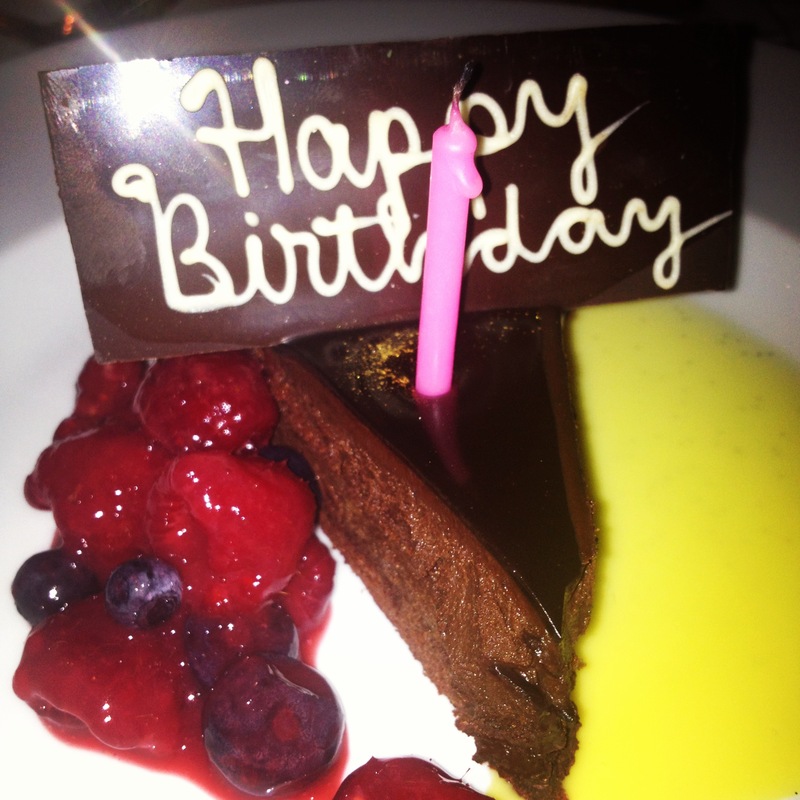 #12: Topped dinner off with this beautiful birthday desert, compliments of The Carlyle. #13: Classed it up after dinner with PBRs at Manchester Pub. In heels. #14: Fell asleep to “happy birthday” being whispered in my ear. 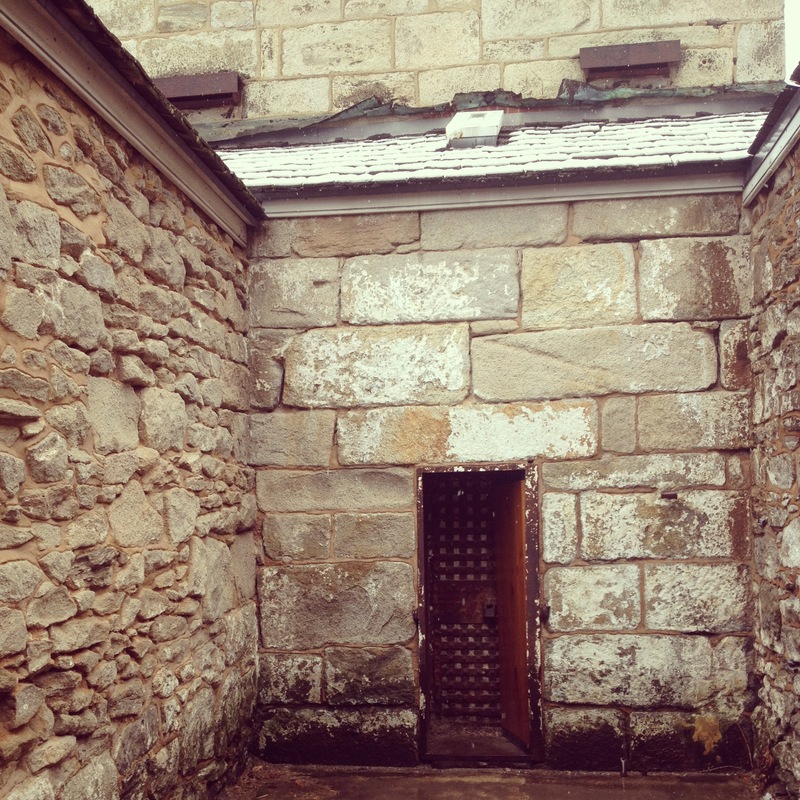 #15: Took Monday off from work, and hightailed it to Philly for the day! 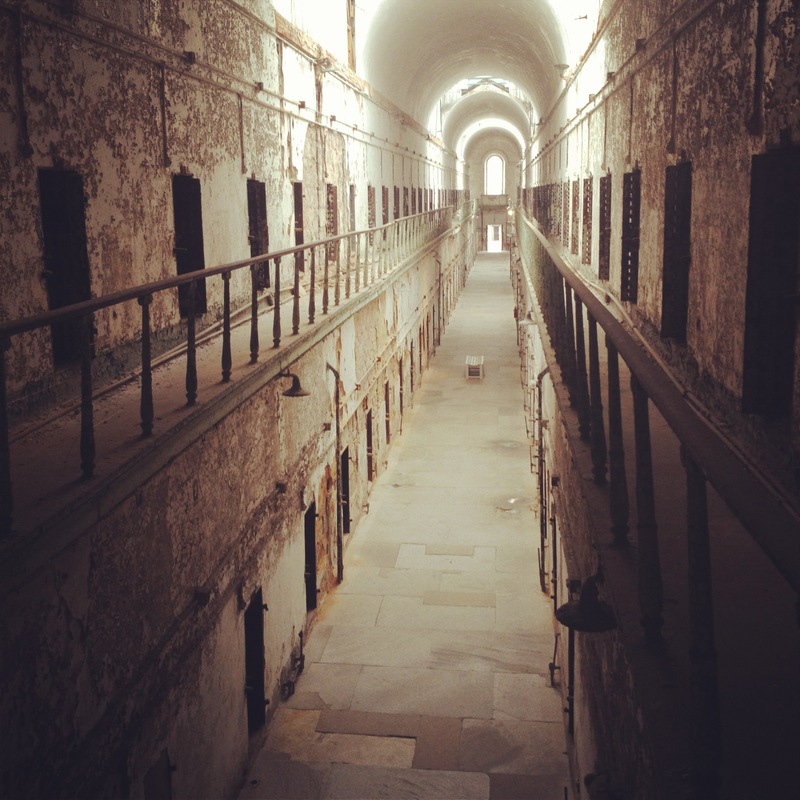 #17: Visited Eastern State Penitentiary (“Who doesn’t tour a penitentiary on their birthday?!”). 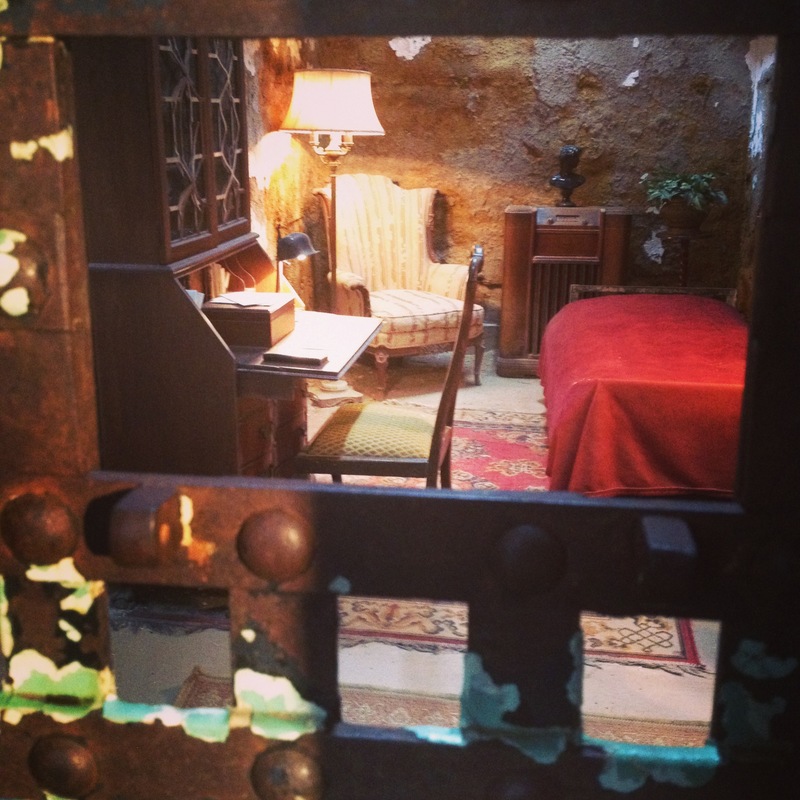 #18: Discovered that Al Capone’s cell at Eastern State Penitentiary was almost bigger (and nicer) than my tiny Manhattan bedroom. #22: Left my work blackberry in the car ALL DAY. 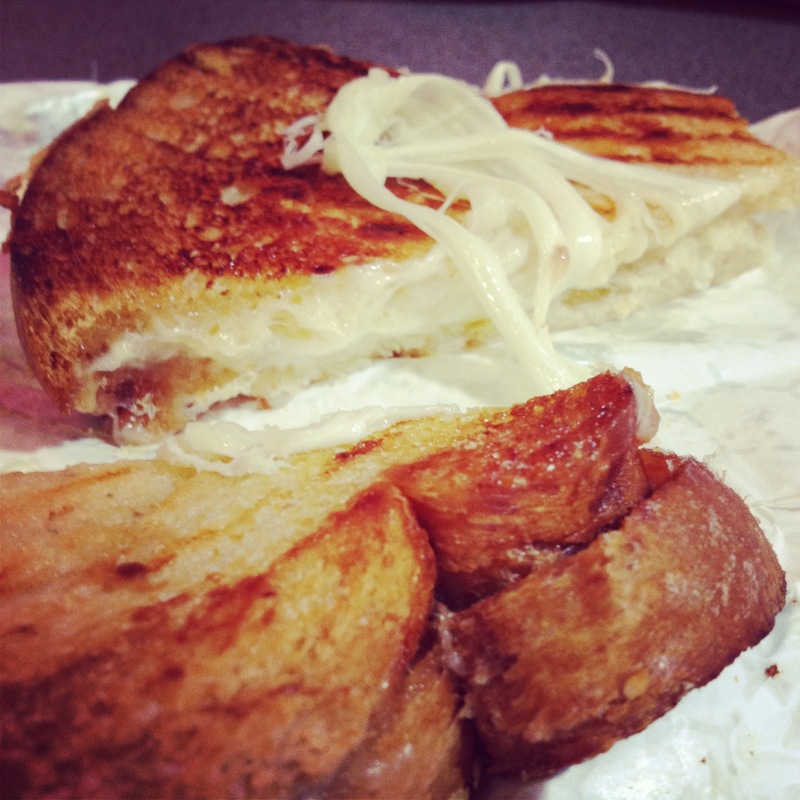 #23: Waltzed our way through Reading Terminal Market and shared a grilled cheese sandwich with the Chef. I know (gasp! ), I shared a grilled cheese sandwich. #25: Hit the city just in time for BYOB sushi dinner, where we proceeded to look up other abandoned prisons we could tour (#normal). 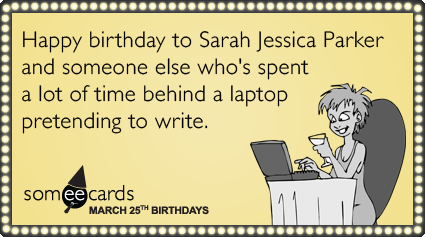 #26: With this e-card from one of the girls, ha. #27: Over- over- overindulged on sushi with my team when I returned to the office on Tuesday. 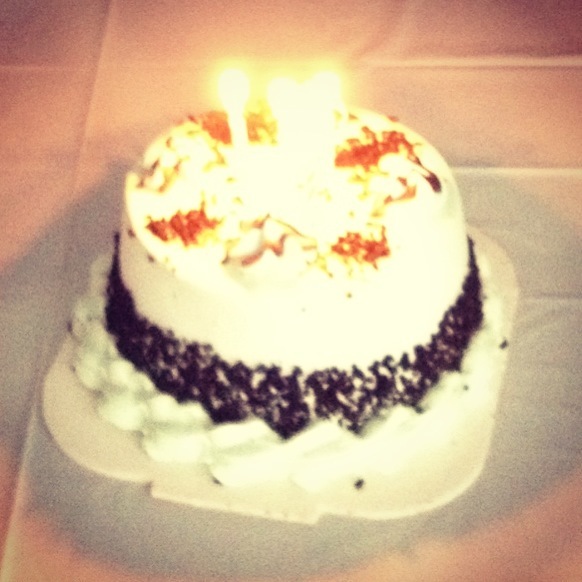 #28: Opted for a second slice of mint chocolate chip ice cream cake. Clearly. #30: Related a little too much to this parody of Taylor Swift’s 22. #31: With pitchers of beer and shots of Jameson at Barfly tonight with the crew. #32: Happily not setting my alarm clock for tomorrow.